Technical advisors can provide assistance in the barn at every stage of growth. From starting newly weaned piglets to harvest, our team focuses on advising clients on efficient and profitable production. Review our All Inclusive, Nursery, and Finishing packages below to determine which package will best meet your needs. Production training by a technical advisor can have significant impacts on pig performance. From processing to sorting to marketing, training programs and protocols can be tailored to your operations needs. Our teams advanced knowledge of packer weight requirements and proper pig selection will ensure you market at the right time and weight. Let our accounting team take care of the books while you manage the pigs and your business. Early pig care is one of the most important phases in swine production as it sets the tone for profitable pig growth. 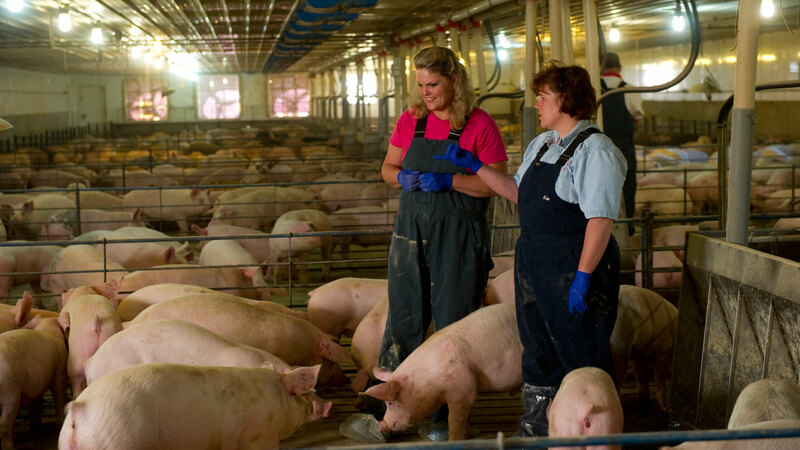 Our technical advisors focus on maximizing individual pig care and provide education and training protocols for your employees. We work to maximize the overall profitability of your operation with the combination of proper pig selection and advanced knowledge of packer weight requirements. Pipestone Grow Finish provides market optimization tools to maximize your total pounds of pork and assist in the selection process at every level. Our technical advisors work with caretakers to develop the techniques and skills needed to select the correct animals, move, and load.